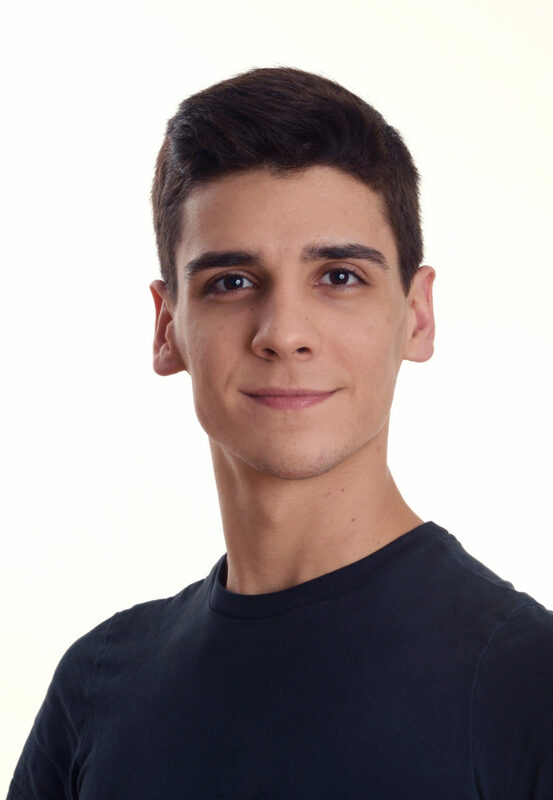 João Menegussi was born and raised in Vitória, Espírito Santo, Brazil, where he began his dance studies at the Monica Tenore Ballet School at the age of five. At the 2012 Youth America Grand Prix, he received a scholarship from the Pierino Ambrosoli Foundation to begin his professional studies at Tanz Akademie Zurich under the direction of Oliver Matz and Steff Scherzer. Menegussi won first place at the 2012 Joinville Dance Festival, the silver medal in the 2015 Tanzolymp and was a finalist at the 2016 Prix de Lausanne. In 2015, he performed with Ballet Zurich in Giselle, reconstructed by Patrice Bart, and took part in the Tanz Prize Gala. Menegussi joined the American Ballet Theatre Studio Company in September 2016, became an apprentice with the main Company in December 2017 and joined the corps de ballet in June 2018. Mr. Menegussi’s performances with American Ballet Theatre are sponsored by The John Palatinus Trust and Oceanic Heritage Foundation.